Indira Gandhi National and Open University is one of the best distance learning and open institutes in India. It is situated in New Delhi and it is popularly called as IGNOU. IGNOU provides various post graduates and under graduates to the students. Huge numbers of the students are studying in various courses under IGNOU. The official members of IGNOU will be given detailed about IGNOU percentage calculation for every course in the official site. The students can view the IGNOU percentage calculation in the official site. Visiting the official website will help you to know more about IGNOU percentage calculation. IGNOU will calculate the percentage for every subject based on assignment mark and theory mark. The students who are studying IGNOU should get score both assignment and theory in the semester exam. IGNOU will be accomplished half yearly semester exam two times in the month of January session and June session. 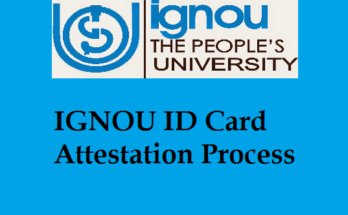 The students have to submit the assignment solution paper to the regional center of IGNOU before the last date. 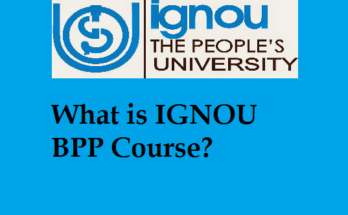 IGNOU will be given the assignment question to the students based on their preferred subjects. The students should provide the different answers in different way in the assignment solved paper. If the students copied the assignment answers from any existing solved assignment paper or study material, then the exam board of IGNOU will not be accepted the solved assignment papers of the students. The exam board of IGNOU will be considered the percentage on the basis of 30:70 in the subject. IGNOU will calculate the students’ mark based on 30 % assignment mark and 70 % theory mark in the subject. The students who are studying IGNOU should attain minimum 40 out of 100, 20 out of 50 in theory as well as 50 out of 100 in assignment for the semester exam. If the students who have failed in theory exam, but they have got 50 % in assignment. Then, the students need not to submit the assignment paper to the regional center of IGNOU. The students who have submitted and passed in the assignment paper before the last date and it will be valid for entire duration of course. Those students should reappear in the theory subject and have to crack the exam. If the students who got pass mark in theory but failed in the assignment paper, then they should resubmit the assignment paper to the regional study center of IGNOU. IGNOU will be provided the grade based on the students’ achievement in education and discipline. The students who have scored 80% and above will be excellent, 60% to 79% will be very good, 50 to 59% will be good, 40% and 49% will be satisfactory and finally below 40% will be unsatisfactory in the grade card. IGNOU avoid the decimal number and it will consolidate the mark rounded in the offense. The students can go and visit the official site of IGNOU and know about how to calculate IGNOU percentage. For example, the students who got 25.1, 25.2, 25.3, 25.4, and 25.5 in any subjects, then the grade card will show on 25 as well as the students who got 26.6, 26.7, 26.8, and 26.9, and then the grade card of IGNOU will show 27. IGNOU percentage calculation will be differed for every subject. To calculate IGNOU percentage, total number of marks got in the exam / number of subjects will give the result of percentage. The students can be easily calculated their IGNOU percentage by their own without any internet. Before that, the students have to know their correct theory and assignment marks for all subjects in the semester. IGNOU will be issued the theory and assignment mark out of 100. The students need to convert their theory and assignment mark in to the percentage ration of 30:70. Here, we are providing the simple steps to explain about how to calculate IGNOU percentage. The interested students can go and look after the given points about IGNOU percentage calculation. First, the students have to collect all subjects’ theory and assignment mark. After that, draw the table and fill the marks for each subject individually. Then, convert the theory mark in to 70% and assignment mark in to 30 %. Now, add 70 % of theory marks of the programme and 30 % of assignment marks to get the aggregation. Now, sum the entire total to get grand total of the subjects. Within the minute, IGNOU percentage will be calculated.